Today was the day, finally, I woke up at 6 AM and waited 23 minutes for my alarm to go off. Today was my version of Christmas, today I got to meet the sloths at the Sloth Sanctuary of Costa Rica. It was everything. Today was the best day of my life. Today was my first kiss, my first time in the ocean, the first time I tasted champagne, and the day I met my rescue dog (Jersey) all rolled into one. I could not have asked for a more amazing experience. 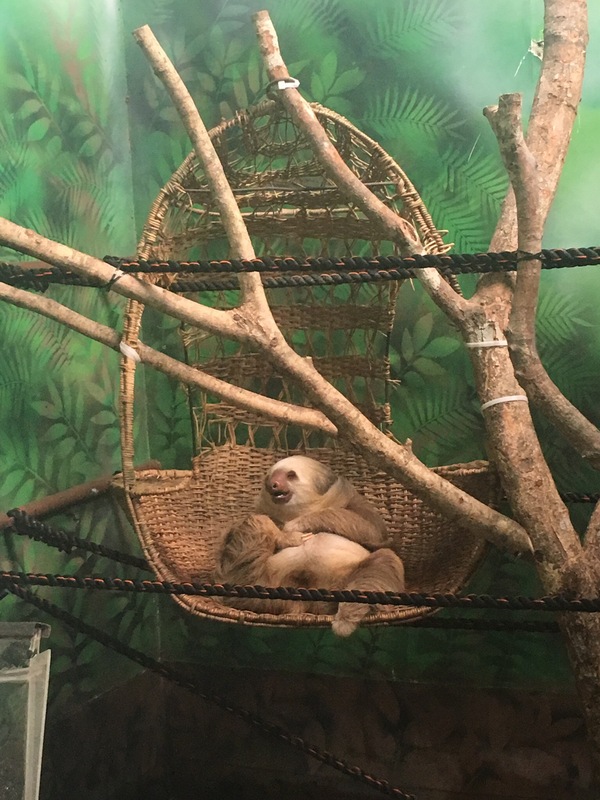 After we woke up, we headed upstairs to the dining room where a table had already been prepared for us right in front of Buttercup, who we met yesterday and will forever hold a place in my heart – also I’m pretty sure she’s the sloth queen, I’m like 90% sure the Sloth Sanctuary is a kingdom of their own creation. After a simple breakfast of fruit, eggs, toast, and pineapple smoothies we were on our way to the first leg of the tour. 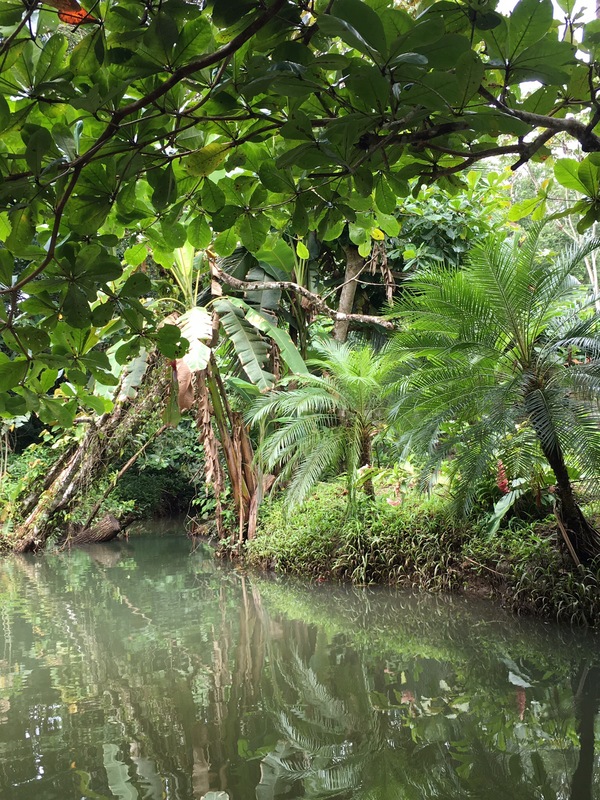 The morning tour starts off with a guided canoe ride down the river behind the sanctuary, it’s billed as a, “Canoe ride to see the sloth’s natural habitat.” But it’s so much more than that, the sanctuary is on the Carribean side of the country which means that it’s sitting smack dab in the middle of the rainforest, so the canoe ride is more about appreciating the space you are in than it is about seeing the sloth’s natural habitat. 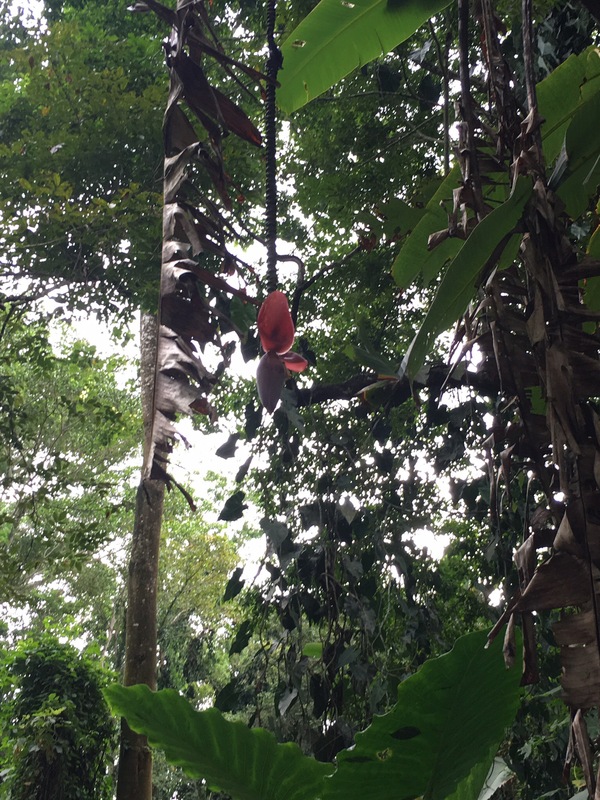 We saw crabs, bats, Montezuma oropendola (I 100% had to Google that spelling), banana flowers, and incredible flora that I never would have encountered outside of an exotic flower shop had I not come here. It was a fantastic way to start the day. After the guided river tour, you’re taken to the sloth habitat where some of the permanent residents of the sanctuary live and given a full explanation of the difference between the two-fingered and three-fingered sloths – they call them fingered rather than toed because all sloth species have the same number of toes but not the same number of fingers. This part is mostly educational but you get to meet 6 of the permanent residents and hear their stories. 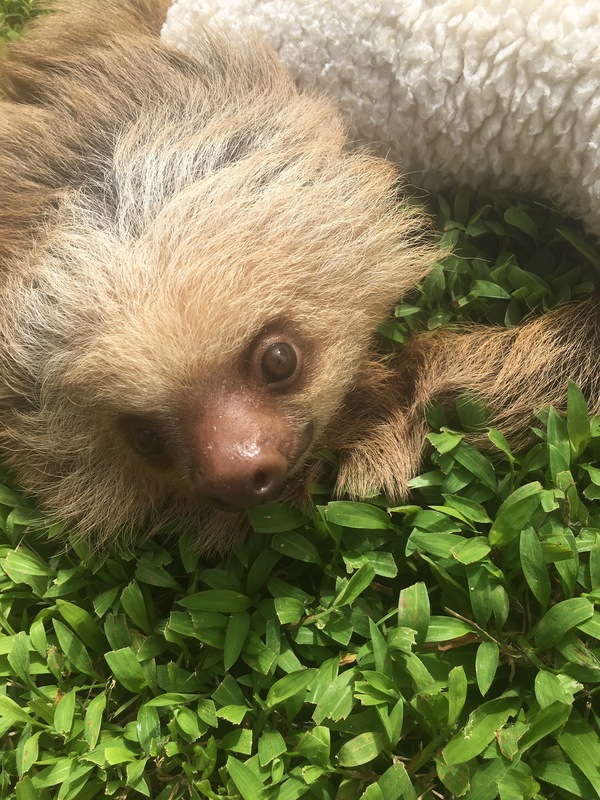 After hanging out with the grown-up sloths it’s time for a quick walk over to the nursery where some of the babies live, our guide introduced us to one of the beautiful little creatures and told us a little about how the sloths came to be at the sanctuary. Unfortunately the babies arrive either because they have been abandoned or orphaned before they ever end up in the care of the Arroyo family and their team of experts. 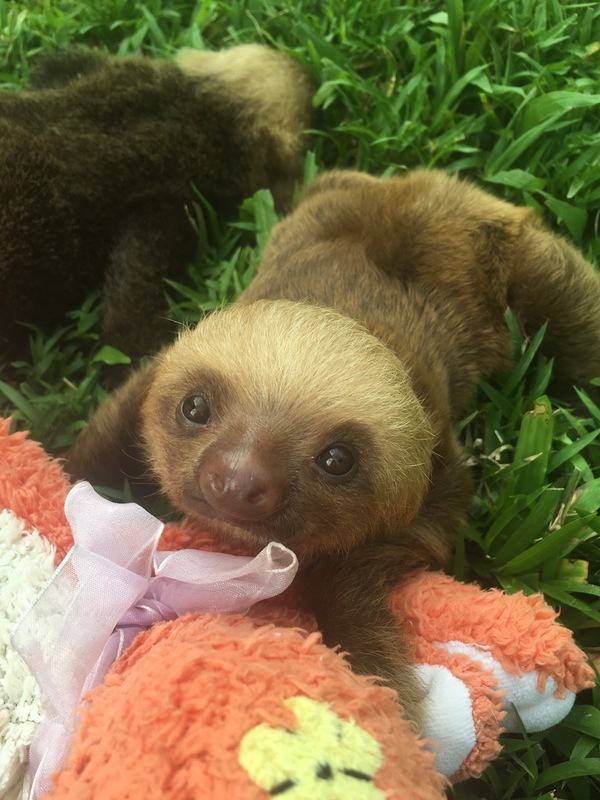 Without the year of sloth training the baby receives from the mama sloth all of the orphaned and abandoned babies at the Sanctuary become permanent residents. Fortunately for sloths and sloth-fans everywhere husband-and-wife veterinarians Drs. Camila Dunner Oliger and Gabriel Pastor Nicolai are researching on site at the sanctuary in an effort to bring hand raised babies back into the wild some day. If you’d like to help support this research you can donate here. After the nursery tour the remainder of the group left us and we continued on for the Insider’s Tour, which is literally the best money I have ever spent. 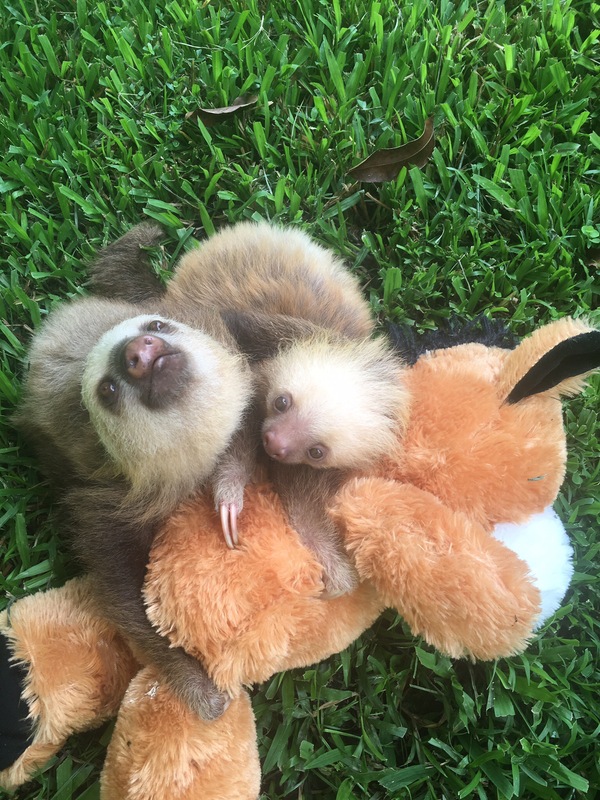 When we walked back towards the NICU it was jungle gym time so I sat on the grass and watched the baby sloths play with their toys and on the gym. At one point, Marshmallow tried to climb me, and while you’re not supposed to touch the sloths yourself I let her hang on to my shorts for a bit. Who wouldn’t? It’s hard to explain what it feels like to be surrounded by happy crawling baby sloths, there aren’t really words to describe how happy I felt in that moment. 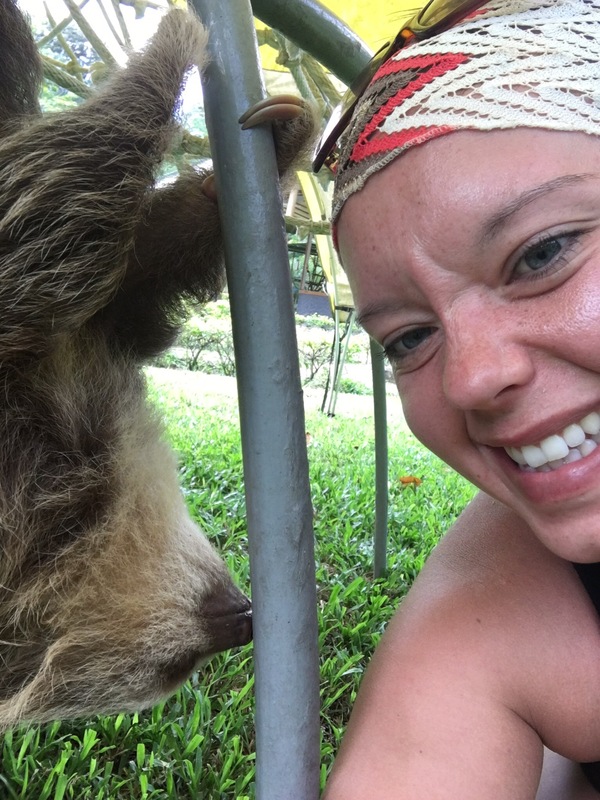 I took a selfie with a sloth (slothie?). 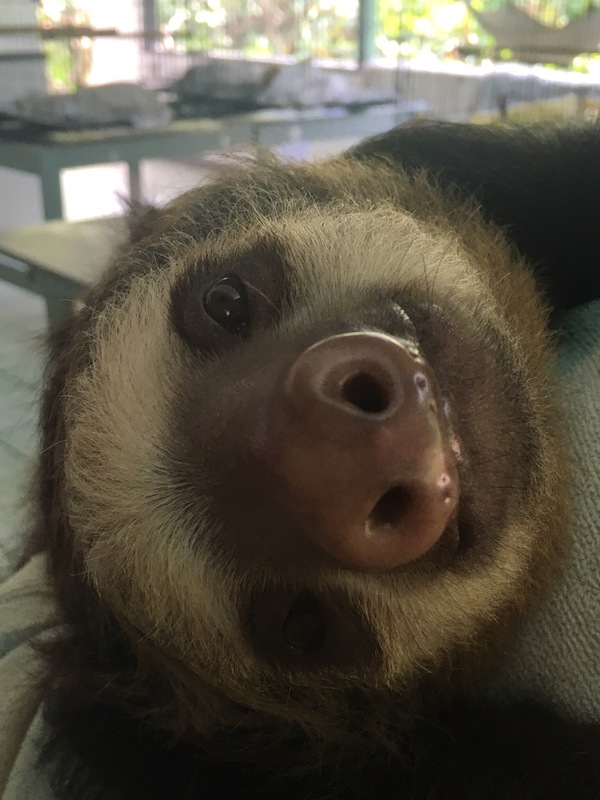 I got booped on the nose by a happy little sloth who probably just wanted to say hello. I sat on the grass in paradise and played with baby creatures that until this point in my life I had only dreamed about seeing. There are no accurate words that can explain what today meant to me. 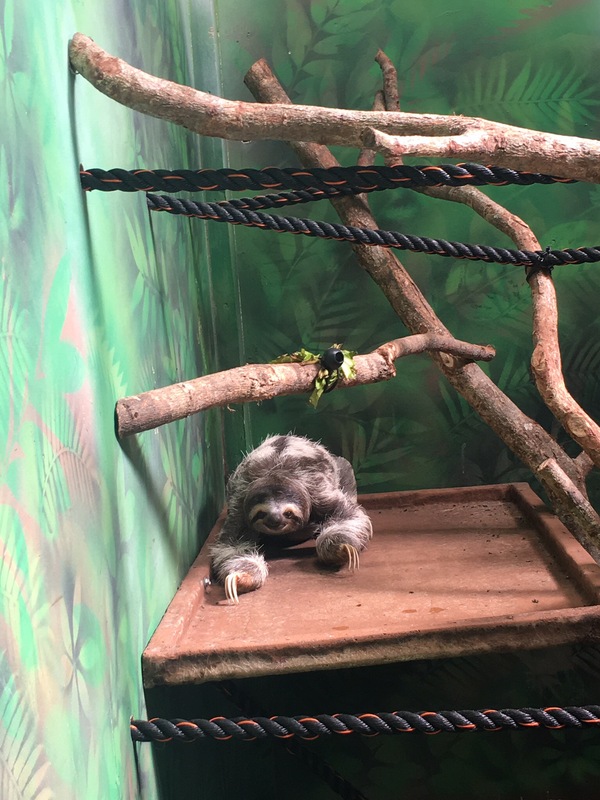 If you’re planning on visiting the Sloth Sanctuary of Costa Rica I highly recommend paying the extra little bit for the Insider’s Tour, it’s so worth it, no one on the Buttercup tour got nose booped by a baby sloth. 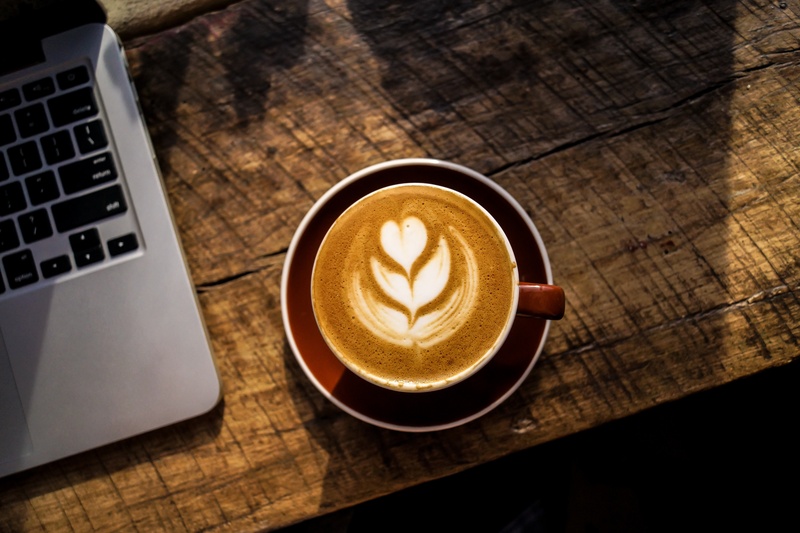 Tourism is the biggest source of revenue for the Sancutuary so if you’re able go visit them and help continue their research or just pass this blog around and encourage your friends to visit them. OMG! You were so close to the sloths! They told me that you cannot touch them AT all but you got to be super close to them yes? I wanted to ask your opinion between the two tours. There is a huge difference in price and I don’t see why. Any info would be very helpful! I am going in December! Thanks!! 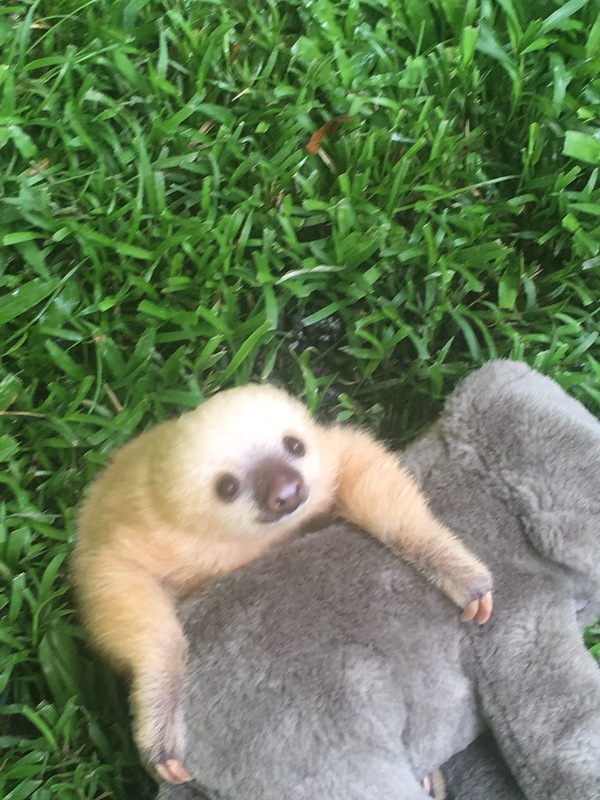 Did you see any other sloths anywhere in CR? 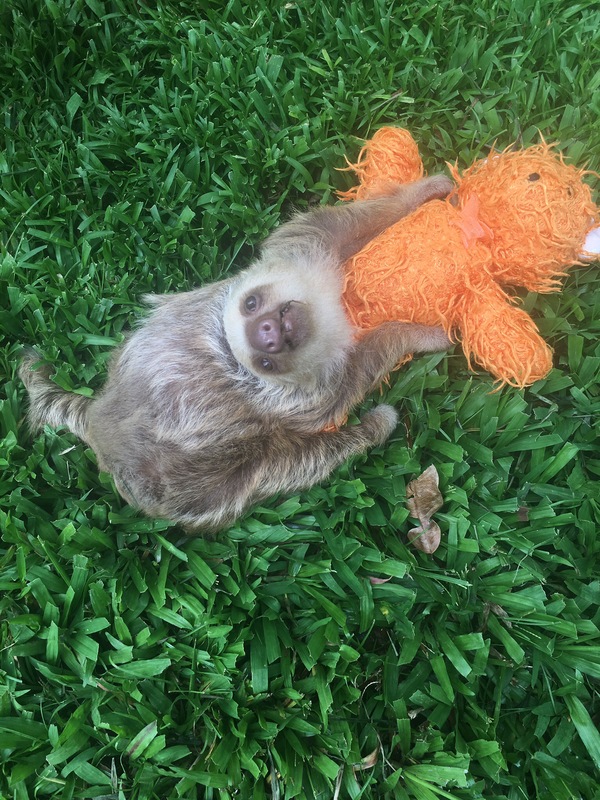 The sloths live mostly on the rainforest side of the country, so near Limon, rather than on the Guanacaste side. The best chance you’ll have to see them is at the Sanctuary.